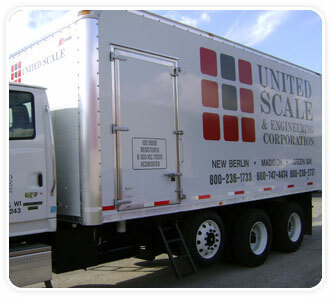 United Scale and Engineering offers a wide range of customer support services. 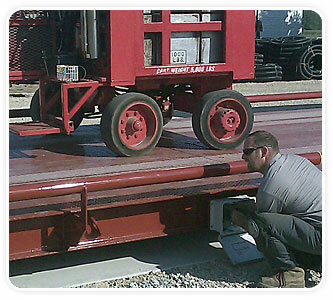 Our equipment installation, field calibrations and repair services are completed from experienced technicians. With today’s advanced weighing product solutions, we are able to complete complex systems with custom integration, programming and software development. In addition, we offer a comprehensive variety of rental scales to meet your short term project needs and annual physical inventory. Our rental services include ISO calibration reports, delivery services and rental equipment from reel counters to temporary truck scales. Our factory trained service technicians are experienced, fully licensed and ready to keep your weighing equipment in top condition. If you should need onsite weighing device calibration, our Certificate and Scope of Accreditation to ISO/IEC 17025:2005 are below for reference. 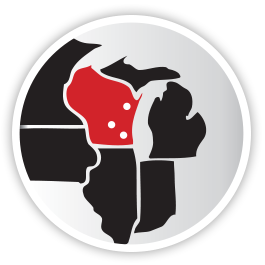 Most experienced group of state-licensed, factory-trained technicians to serve you at 3 locations: New Berlin, Madison, and Green Bay. Questions? Contact us at: sales@unitedscale.com or call (800) 236-1733 for answers!